A Stoneman Douglas Alumni reached out to request for help to print and fundraise for the Marjory Stoneman Douglas Victims'. 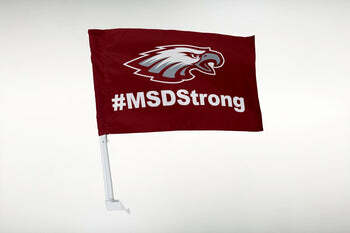 Stand in support with Marjory Stoneman Douglas High with your very own 12" x 18" or 30" x 48" #MSDStrong Garden flag. Our Garden Flags have a top pole sleeve for standard garden flag hardware. A large majority of profits will be donated to Marjory Stoneman Douglas Victims' fund (Broward School Foundation). 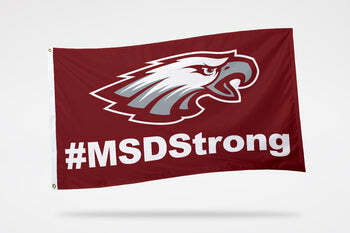 Select an option to upgrade your #MSDStrong Garden Flag!